Bone marrow in a male F344/N rat from a chronic study. 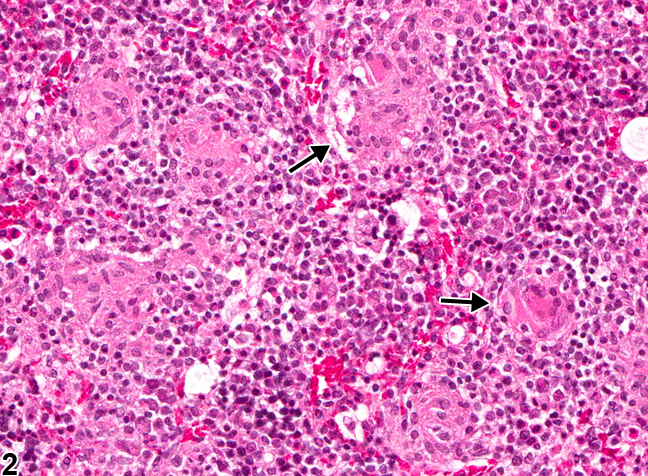 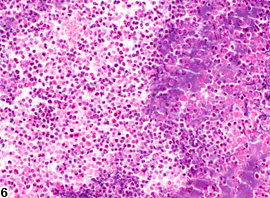 This low-power view shows relatively pale eosinophilic areas of granulomatous inflammation consisting of aggregates of macrophages (arrows). 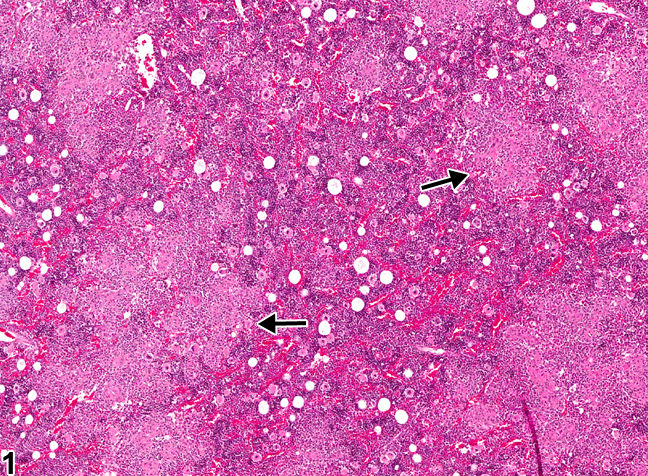 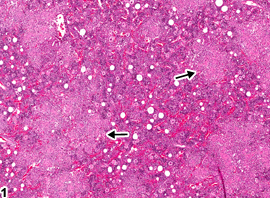 Bone marrow in a male F344/N male rat from a chronic study (higher magnification of Figure 1), showing several aggregates of macrophages (arrows), some epithelioid and/or multinucleated. 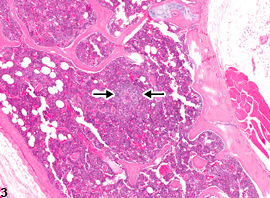 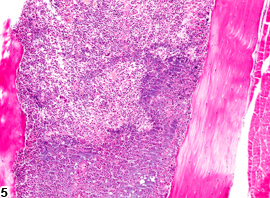 Bone marrow in a male B6C3F1 mouse from a chronic study showing a distinct granuloma (arrows). 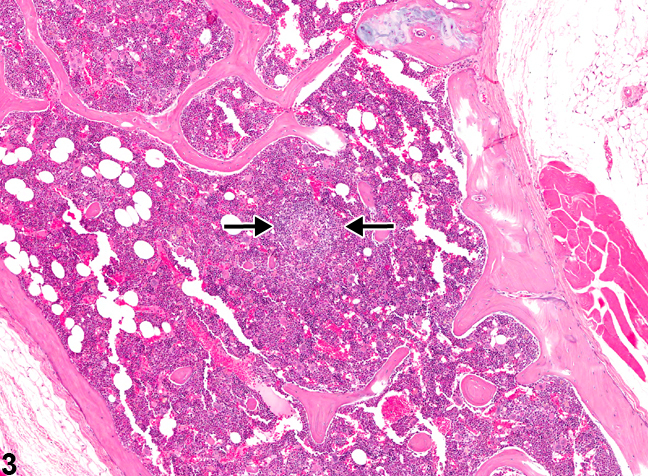 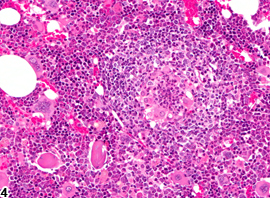 Bone marrow in a male B6C3F1 mouse from a chronic study (higher magnification of Figure 3), showing a distinct granuloma. 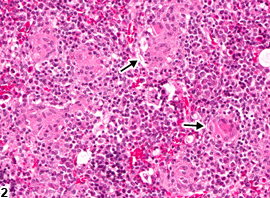 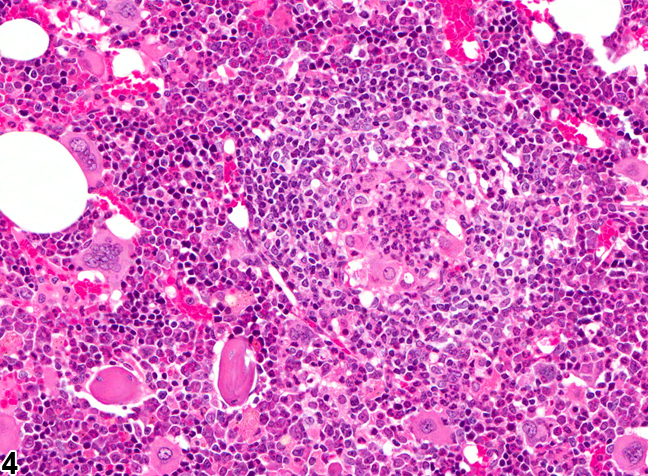 Bone marrow in a male B6C3F1 mouse from a chronic study, showing severe suppurative inflammation with high numbers of degenerative neutrophils mixed with necrotic debris. 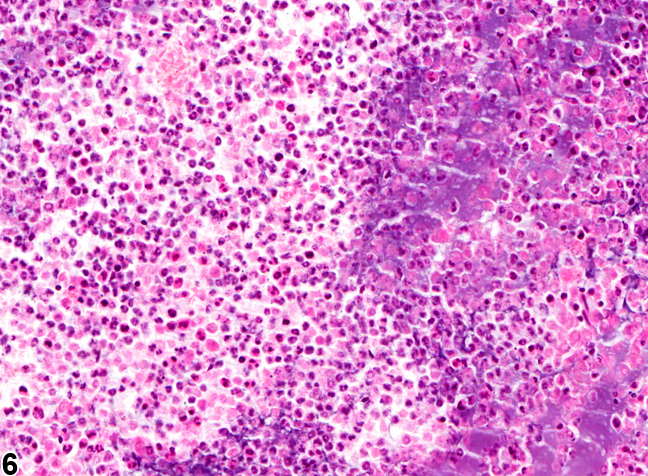 Bone marrow in a male B6C3F1 mouse from a chronic study (higher magnification of Figure 5), showing severe suppurative inflammation with high numbers of degenerative neutrophils mixed with necrotic debris.